Brother John McCuioston led services in its early years and they were held on Saturday evenings with the Sunday school gatherings taking place of course on Sundays. Sunday school officially started on Palm Sunday, March 26, 1893 with 56 scholars and 7 teachers present. The experiment of “Christ Chapel” proved to be a success and barely two years later, on July 21, 1895, the cornerstone was laid for a large new sanctuary. 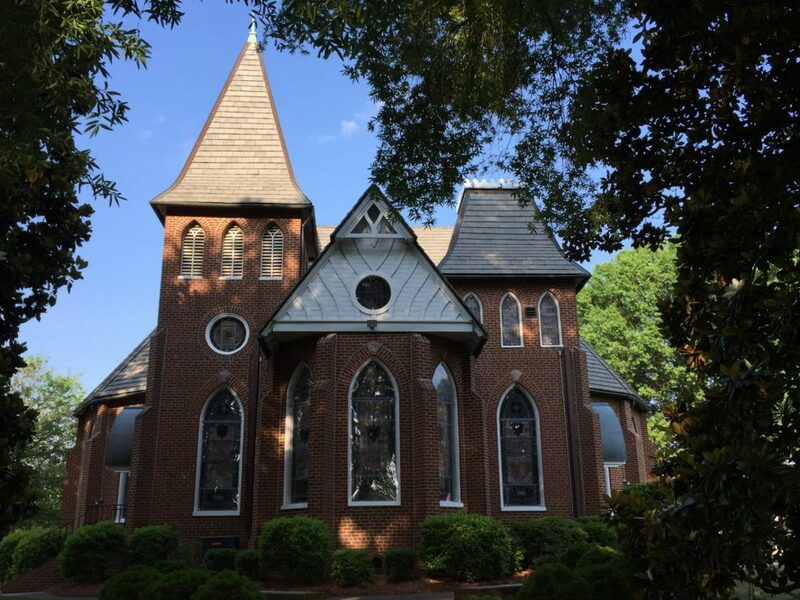 Howard Rondthaler, the son of Bishop Edward Rondthaler was called as Christ Church’s first pastor on July 1, 1896, and the new sanctuary was dedicated on July 18, 1896. Formal organization of Christ Church as a branch of Salem Congregation followed on October 25, 1896.